Deciduous tree. 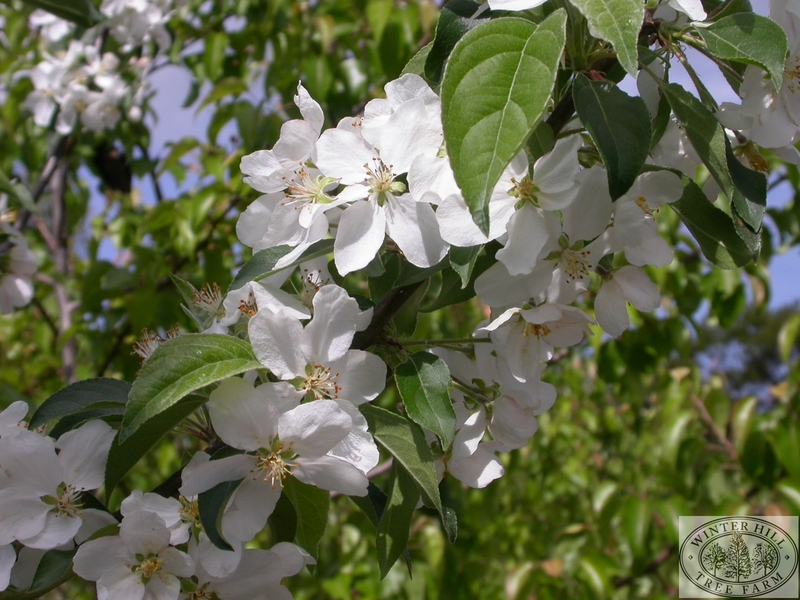 Flowers pink in bud opening to large single white, 3cm fruit orange, flushed with scarlet appearing before leaf-fall. One of the best crab apples for fruit and excellent for making jelly.